The Ma Petit death scene in American Horror Story: Freak Show. The small petite woman was hugged to death by the gentle giant Dell, not so gentle after all. Meep death scene in American Horror Story: Freak Show. Meep was beaten to death while in a prison cell by the inmates for the accused death of a police officer. Meep could not speak or defend himself. The teacher and school administrator eaten by young child vampires from American Horror Story: Hotel. Gabriel’s death scene in American Horror Story: Hotel. Gabriel is "taken advantage of" by the addiction demon. Gabriel is then sewn into the mattress and left to rot. Vivien Harmon from the first season of American Horror Story gives birth to twins and the unusually large second child causes her to hemorrhage. Maggie Esmerelda was sawed in half by the murderous magician played by Neil Patrick Harris in American Horror Story: Freak Show. Johnny Morgan was the offspring of the serial killer the Bloody Face Killer. 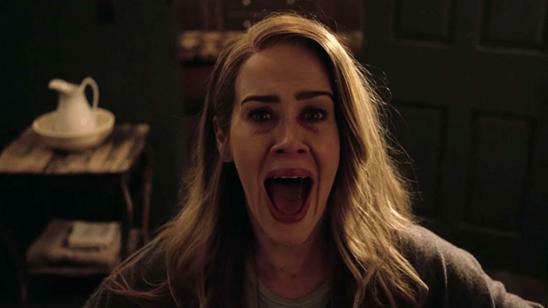 His mother and the victim of the coupling end his torment in American Horror Story: Asylum. Myrtle Snow was burned to death in American Horror Story: Coven… Twice. Shelley had her limbs removed and was eventually choked to death with a rosary by a priest in American Horror Story: Asylum. Violet Harmon died of an overdose in American Horror Story Season 1.